Over the last 10 years, websites have become businesses online salesman that can run 24 hours a day, 365 days a year. Websites can be your most powerful asset or biggest downfall. You need to ensure that it is getting across your product or service in the right manner and that it is conveying the right message to the customer. 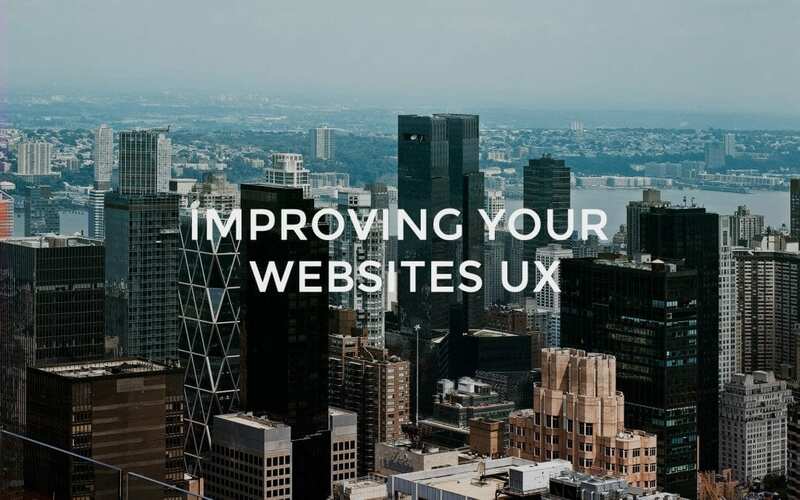 As technology is advancing, your business needs to keep the website up to date. While some businesses may feel that a redesign will fulfill that, others feel that there are simple changes that you can make to keep the site fresh. Our creative agency Bournemouth has done some research and found a few tips to make your users experience that little bit better. Search Box – It’s not ideal when users have to search to find the search box. Either because it doesn’t stand out enough or it is too hidden. A recent study has shown that the most common place for a user to look for a search box is either the top left of the screen or the top right. A great example of a site that has used this method is Ebay. Ebay’s website is based all on people searching for products, so this is a big factor. eBay has also made small hints to heighten the UX of the site. One of those hints is the small contrast in color in the whole site and the search box. These small changes make a big difference to where your eyes are attracted too. White space – This is a very controversial point. Many people complain that there is too much white space on their website and that it is unused real estate that could and should be used to promote more of there service or product. However, white space is essential for good design. It both makes your content more legible and makes the user focus on the elements surrounding the text. According to statistics white space that is around text and other things like titles increase the user attention by 20%. It also makes your website feel open, fresh and modern. However, one downside of white space is that it does take up a lot of your sites free space. A great example of a site using white space is Mail Chimp (www.mailchimp.com). Mail chimp surround there call to actions and what their company is about with white space and effective illustrations. This then forces the users to focus in on the message that they are trying to get across, this is a perfect example of how to use whitespace perfectly. Need more information on UX ? Give our creative agency Bournemouth a call on 01202 237027. Page Speed – This can be one of the most frustrating parts of using the internet. Page loading speeds are both irritating for the user and also plays a big part in SEO factors when search engines are deciding on rankings. When users don’t get fast loading speeds they usually bounce and go to a different site. The average person will wait around 2-4 seconds before they start thinking about changing sites. So where can you test your site? There are many different sites that can test the loading speeds. One of the best is Google.